Nottingham Sports Injury Clinic is the flagship and founding clinic of the PhysioNeeds group which now consists of six practices across Nottinghamshire and Derbyshire. Our clinic employs physiotherapists with a wealth of knowledge and experience, all wiht a keen intereste in wellbeing and the healing process. 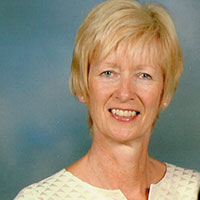 I am the founder of PhysioNeeds and after graduating from Nottingham University in 1979, with a MCSP Grad Dip in Physiotherapy, I specialised in spinal and sporting injuries. I have years of experience treating a wide variety of injuries and a wide range of patients including famous people like Stephie Graph, Stuart Pearce, Brian Ferry and Jane Torville. I opened my first private physiotherapy practice in 1982. Torville and Dean then opened the Nottingham Sports Injury Clinic in 1995. I am a family person and love my family with all my heart. I have triplet boys called Mark, Peter and James and a daughter called Abigail. James and Abigail are now partners in PhysioNeeds. I love to horse ride in my spare time and take my springador called 'Willow' for a walk everyday. I also enjoy reading, listening to music as well as theatre and travel. I would say my specialty is backs and necks as I have graduated in osteopathic manipulative techniques. I also gain great satisfaction in seeing how core stability exercises/pilates help my patients and have established PhysioNeeds Equestrian which combines my interests and specialities. I believe that hands on physiotherapy is very important and I make sure all my staff are trained and deliver the best quality hands on treatment possible. I am a big sports fan but my number one sport is Rugby. I play local and county rugby, and used to play for Saracens U20 and National 3 side. I generally enjoy partaking in all sports, contact and non contact. I graduated from Nottingham University with a 2.1 in Physiotherapy (Bsc Hons). I am AACP qualified in accupuncture and I am also in the process of completing a masters specialising in manual therapy for MSc MACP Qualification, including advanced practice module. When it comes to physio I specialise in differential diagnosis of complex cases, and spinal rehabilitation and sports injuries. I used to work in community rehabilitation for the elderly specialising in mobility within the home but I have experience in acute hospital rotations including orthopaedics, medical wards and neurology. A have also done physiotherapy for West Ham (senior and academy), County Rugby (senior and junior) and private practice for the past 3.5 years. Ever since a young age I have known the value of Physiotherapy not only in the mechanical sense but also the psychological. Having studied Psychology to Degree level I understand the significant impact that reduced function and pain has on day to day lives and psychological well- being. This is why I feel good communication with patients is of vital importance. I feel my patient’s need to know what condition they have, why they have it, what they can do to prevent it and what I can do to help. It’s with this that body and mind can come together to achieve recovery. I have a strong emphasis on hands on techniques as I believe this is the best way to relieve secondary complications. At the same time I will push my patients to self -manage and communicate clearly on their progression. This is the best way to derive a valid prognosis. I have always had a keen interest in complex musculoskeletal cases, I enjoy the problem solving aspect and enjoy challenging myself and thinking laterally. The answer is often simple but the right questions need to be asked. I enjoy new challenges and I’m always looking to improve existing treatment techniques or discovering new ones by going on regular courses. In my spare time I enjoy going to the gym, going swimming and running but most of all I love playing the drums. I have been drumming since I was 15 years old and I’m now at Grade 8 level. I studied BSc Physiotherapy at Northumbria University and graduated with a First Class honours degree and I have worked in private practice ever since. I also work at the Nottingham Sports Injury Clinic, which gives me a wide range of experience. 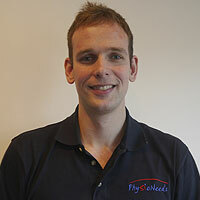 My keen interest within physiotherapy is musculoskeletal and I enjoy treating people of all ages. I always like to focus on people's own goals whether that's returning to high level sport or simply being pain free doing the hoovering. I find my job very rewarding when I get patients back to the activities they enjoy and getting them better! I have undertaken many postgraduate training courses to enable me to continually develop my manual skills. I am a fully qualified Sports Massage Therapist (ITEC) and I treated runners at the Great North Run for the NSPCC for 3 years when I was living and training in Newcastle. I am trained in Acupuncture which can have amazing results and it's always fascinating me. 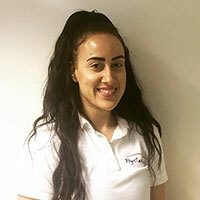 I also have a keen interest in Pilates, having undertaken APPI Pilates training to Intermediate Level and I run Pilates Classes at the Nottingham Sports Injury Clinic. I enjoy riding and I represented England in 2006-2008, competing in Ireland for the British Young Riders dressage squad on my pony Billy. After university, and a spot of travelling, I have returned to competing but I now do British Eventing on my horse Hugo. With my knowledge of equestrianism I am part of PhysioNeeds Equestrian which looks at a riders posture/position and how this may be effecting your riding or your horses way of going. Please see the section on PhysioNeeds Equestrian for more information. 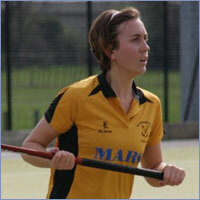 I enjoy playing for my local hockey club in the midlands league and previously County. I am a member of Holme Pierrepoint Running club and enjoy social and competitive running anything from 5K to Half Marathon distances. I also play golf socially but have previously played at a county level. My interest in physio lies within musculoskeletal with a particular interest in the rehabilitation of sports injuries back to a competitive level. I graduated from Nottingham University with a Bsc in Physiotherapy in 2007 and shortly after I volunteered in Ugandan hospital shortly after graduation and then took a break from physiotherapy to undertake a post-graduate study in Human Resource Management and gain experience of managing a business. From a young age, I have always had interest in playing sport and keeping fit so I knew that my career would have to somehow involve my passion. After graduating in 2002 with a BSc in Sports Science I decided I wanted to be a physiotherapist. I graduated from Southampton University in 2006 with a MSc in physiotherapy (pre-reg). 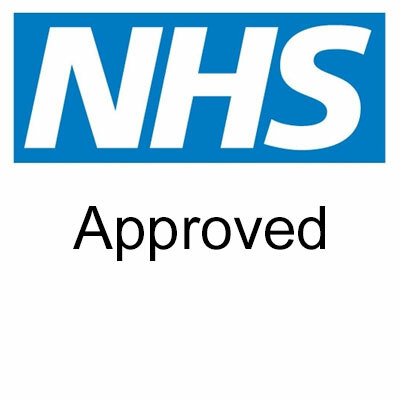 I have worked within the NHS for 10 years which has given me a wide range of clinical experience in musculoskeletal, respiratory and neurological conditions. 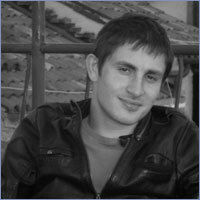 For 6 years I specialised as a respiratory physiotherapist working with people with disorders of the respiratory system. This includes conditions affecting the lungs, such as bronchiectasis and emphysema. I have a good knowledge of respiratory physiology, exercise and muscle physiology, exercise training, and the principles of behaviour change. After 10 years I wanted to return to my passion of sport and exercise so in November 2016 I was lucky enough to join the team at Nottingham Sports Injury Clinic where I assess and treat a variety of musculoskeletal conditions in sporting and non-sporting populations. I also have added to the services we provide at the clinic by introducing a respiratory physiotherapy service. I have also worked as a physiotherapist for Leicester Tigers player development program for talented 13-16 year old rugby players and often provide assessment and treatment to mountain bikers at all levels within Nottinghamshire. 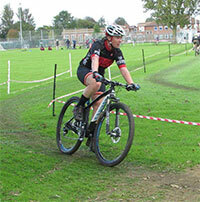 I have a keen interest in outdoor sports, but cross-country mountain biking is my true love. In the summer months, I like to participate in mountain marathons, endurance events and XC racing. In the winter months, I love walking in the mountains of the UK with my dog, Rose. I studied my Physiotherapy degree at Manchester Metropolitan University and I have worked as a musculoskeletal physiotherapist ever since. I have also done various training courses since to keep my manual therapy skills up to date with the newest research and treatment modalities, including kinesiology and sports taping, neck and back spinal mobilisation techniques, soft tissue massage and core strengthening. As well as Physiotherapy, I am also qualified in personal training which has given me further insight into different training methods, sport-specific training approaches and nutrition for both general health and also for athletic performance. I absolutely love what I do and I am very proud to be a physiotherapist! I love the problem-solving behind getting to the cause of the problem and the satisfaction of helping my patients get better and stay better. I am definitely a strong believer in a combined approach of both hands-on therapy and a progressive exercise/self-management programme to help reduce pain, restore movement, facilitate return to pre-injury activities and help prevent reoccurrence in the future. I always consider the expectations of my patients as a priority because for me rehabilitation is most effective when we work together towards a common goal; whether that is being pain free while doing the housework or gardening, getting back to your after work run, back to smashing your personal best at bench press in the gym or even just back to sleeping the whole night without waking due to pain. In my spare time I am a huge fitness fan, I previously played a lot of team sports- netball being one of my favourites and competed in track events- sprints and long jump. Now my second home is the gym where I have found a new love for weight training- don't be fooled by small frame, my squat personal record is 115kg! I have had an immense interest in sport for as long as I can remember. I achieved my 1st Dan black belt when I was 14 years old and competed in World Championships in Australia. 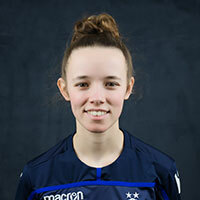 I have also played football at county level, and continued playing football and Futsal throughout University for the women’s 1st team, in which my team achieved many successes. My passion for sport is what inspired my career choice. 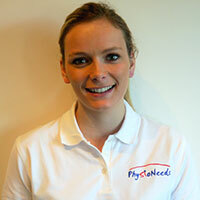 I studied Sports Rehabilitation and Exercise Science BSc Hons at the University of Nottingham and graduated with a 2:1. I also work for Nottingham Forest FC as a Sports Rehabilitator for the academy teams. My main interest are lower limb injuries, including hip, knee and ankle. Through my academic career and post-graduate experience, I have learnt a vast range of treatment methods including soft tissue massage, kinesiology and sports taping, and neck and back spinal mobilisations. I am also first aid qualified after completing my Immediate Care in Sport (ICIS) Level 2 last year. Don't sit and suffer - give us a call on 0115 960 9553. Your call will be treated in confidence and we might even be able to fit you in today. Alternatively use our contact form.